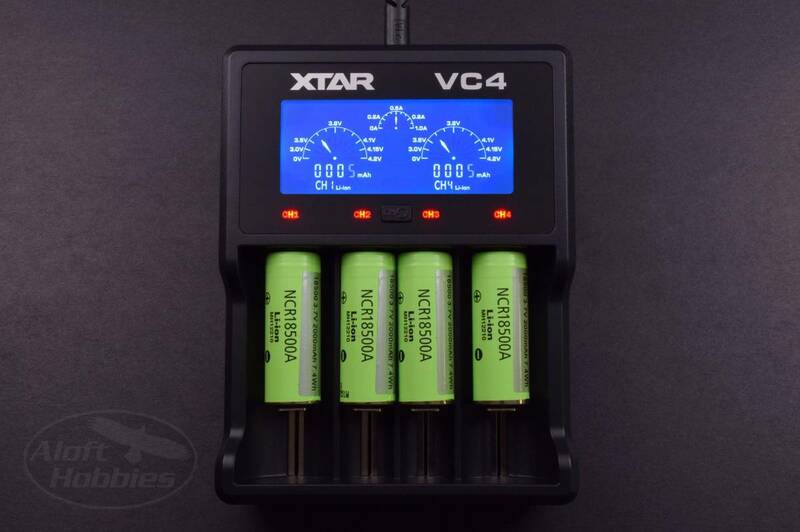 The XTAR VC4 charges both Li-ion and NiMH batteries. 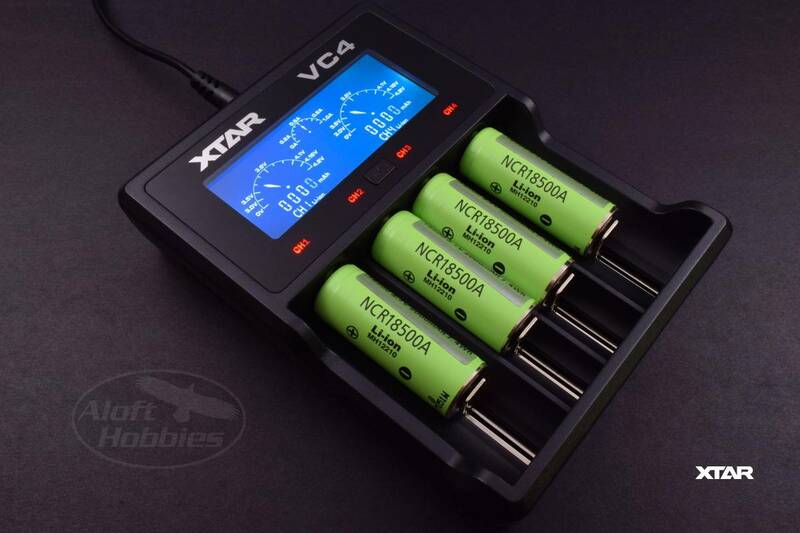 The XTAR VC4 is a four place smart charger with an engaging LCD display that keeps you aware of your charging status at a glance. The charger can be powered by any USB power port that is capable of providing 2.1 amps. Some of the power adapters that we use to charge our cell phones and other devices can provide this. If your power supply is unable to provide 2.1 amps the charger will use what current is available and divide it amongst the batteries being charged. If you have a 12v cigarette lighter USB adapter you can charge your batteries while driving to your favorite flying spot, or If you'd like, you can even charge your Li-ion/Nimh batteries in the field using a Lipo pack as the power supply. We have a very handy Xt-60 to USB power adapter that can help you with that (link at the bottom of the page).